Whenever you hear a blogger mentioning a free ebook, you think “Oh, I have to sign up for another email newsletter“. But this doesn’t have to be the case, and the way most bloggers are functioning now – it can actually be a great way to differentiate yourself from others. The first thing you want to start with, is giving your ebook a good name. Depending on your niche and the topic, you may want to name it “a guide”, “a handbook” or something else. That may make a difference in how people perceive it. See this tutorial that shows how to create an ebook for extra tips. As I mentioned, often, the free ebooks are used as bribes for people to get on your email list. But lets see some other ways to use free books to get the max out of your writing efforts. Build trust and establish yourself as an expert – If you create an informative ebook of great value and give it away to your readers, as well as send it to your peers and potential market, they will start seeing you as an expert in the niche. Be active in promoting it, so don’t rely only on people who land on your blog. Ask bloggers to guest post on their blogs so you can give away the book to their readers. And not in return for email sign-ups, I mean completely free via direct download link. This is an awesome viral marketing strategy that is not used enough. If you find blogs that aren’t directly competing with you but are in the same market, giving away your book to their readers will increase your exposure and give more material to those bloggers. You never know how they may thank you for it! You can actually use these books to still build your list as a secondary result, by adding a link to an additional book or something else that may interest them, which your readers will get by subscribing to the newsletter. But do not create a free ebook only as a teaser for another one. Give people all the info they need to solve a specific problem and don’t worry about them not signing up. If your ebook was useful, they will sign up without being tricked into it. Make sure you are deep into your niche and you can find a very specific problem they need help with, that hasn’t been written about to death. Also, try to make the problem as “narrow” as you can. Create your book with a lot of attention to details, providing a complete solution for the said problem. Another example: The free eBook pictured to the right looks enticing. The cover has been professionally designed and the title is catchy. Don’t forget that writing eye catching titles is also important for your blog posts. You can click on the eBook to see how this FREE eBook is being promoted. Your free ebook can be a great starting point for a sales funnel. Adding links to your newsletter where you sell a service, or offering bonuses for those who read the book, and so on, can be a great start. Make a big note at the beginning of the book inviting people to share it with their friends, send them to their email lists or share them on your blog, as long as they don’t change anything in the book. People love sharing great stuff and if the guide is useful, everyone will want to share it with their readers. This just creates more opportunities for people to take that first step in your sales funnel. If you can create a few of these books and release them over time, every time guest posting and promoting it on a new list of blogs, your name and visibility will grow fast. Also, you can implement one of the “share to get” options like the ones from Premise plugin, so you will get more social media exposure for your download. Now, make sure you add links to your ebook, put your name on it, blog logo and so on, because you want people to know who is the author and find you easily. Also, you can ask bloggers who want to share the book with their readers to point them to your download page instead of giving the book directly as a file. But make it a direct download on your page! Extra tip: Make a launch of your free ebook. Sure it is free and you aren’t making any money directly, but establishing yourself as an expert, building a list and potential client acquirement is worth putting some extra work and resources into launching your book. Plus, it will give it more perceived value. Brankica Underwood is a social media sharp shooter who helps small businesses, bloggers, and freelancers gain followers and sales and build better websites. Get her book "99 tasks for fast blog improvement". I’m in the process of writing my two guides on Affiliate marketing and SEO and I was planning to use the SEO guide as a bait to find people who might be interested in Aff. marketing. Since both of these books are gonna be epic, the audience I’ve created from the SEO guide will be pretty excited to see what’s with my aff. guide. That’s a great tip. I’ve learned to use Ebooks to get subscribers on your email list, but I haven’t seen anyone teaching to just give them away for exposure. Great idea! Yes it is crazy hey? I have been giving away my books for years now. I still sell certain books too but the giveaway ones generate just as much income and build awesome relationships. I would recommend creating a few books to giveaway asap.. You will never know until you try it. What you have said is true. However I am confused about giving the free download link to the readers without a email sign-up. The direct download giveaway strategy is indeed an awesome tactic especially if you have your links woven within the ebook. This is also good for those get their private download pages passed around without their knowledge. 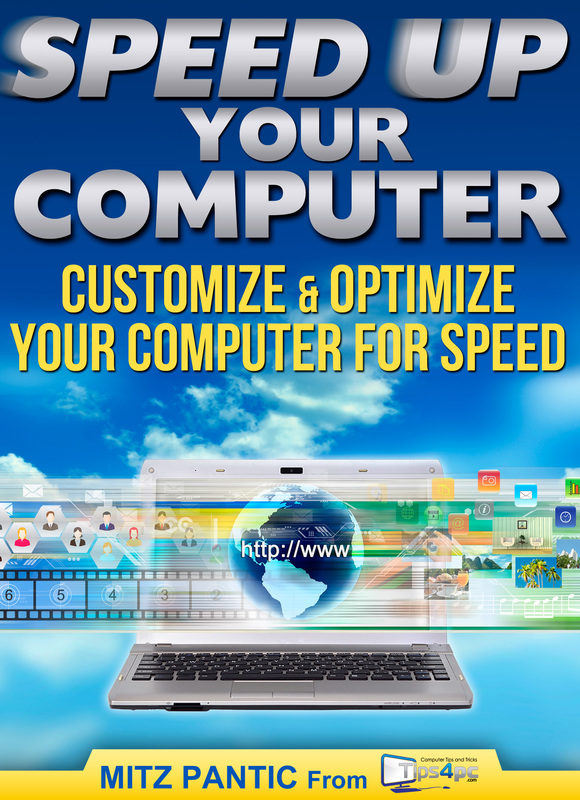 To tell the truth I have so many free ebooks I cannot count… check out this one on my computer site.. HERE This looks boring and harmless but it is not! Hi Brankica, I absolutely admit your points and fully recognize the benefits of using e-books as building up the trust with your audience / potential customers. I really would like to do the same, but I’ve already started it. I’m into 3D printing and 3D modeling and I’ve just started to post free 3D modeling tutorials (a series) on my blog. Honestly, I’ve just checked my statistics and I have to say that it has doubled the traffic to my blog just because of the helpful content. I wish I had more time to write a complete e-book like you did, I bet that people would like it and it would start to go viral. Thanks for sharing your inspirational thoughts on the sales funnel thing, a nice compiled e-book can give a start kick for every business. You can easily use the content from your blog to make an ebook. See the cover I got made for this free ebook I am giving away. It is basically the content from my blog.. Is it working? Hell Yeah! Check out this cover I got made HERE for this free ebook. It cost me $5 on fiverr.com.. Writing e-books seems a tedious task. I know that it must be taking a lot of feelings for the person who writes e-book. But giving it for free is important! Great post! Today it seems (as it always should have) to boil down to providing the user with the solution to their question. I think that’s great. YES it does take extra work and effort but it will absolutly pay off in the long run. I hate to say it but I commend Google and the other search engines for tightening the belt on how one gets in front of their customers. right now its like sending your friend to a shady part of town to help them retire in the islands…not happening..anyway, my 2 cents! Jake Harper recently posted..Breakthrough Method Using Modern Technology To Get Your Ex Back! Thanks for sharing this such a great article, I was just looking it & here I got some strong & valuable point with this point. You have invented a new way to promote blog, I have not even heard of this idea. This seems to be a great way to engage visitors to my blog. Using free books as a marketing strategy is something I have been wanting to do for a long time. Now seeing you have all the necessary information here, I really have to find time to do it. Thanks for all your tips! this post is being surely one of the good strategies in which some bloggers publish their self e books for marketting purposes etc this can fully be noticed. Can you tell me what you think about the length of any Free giveaway? Shane Melough recommends to keep it short – a report that is quick and easy to create, and can be read and used in 5 minutes by the readers. Other people (like Ana Hoffman) give incredible in-depth value in their freebies. I know which type I value most (the info packed How Tos) but which do you think is best if all you are aiming to do is build Subscribers? Carol Manser recently posted..Short URL Link Options for Twitter Tweets: Which are Shortest? I personally do not like short reports at all. I do not even like short blog posts…..But if you give away the absolute best info, real nuggets, then you will get away with short reports. You just need to deliver what you promised. Thanks for this excellent post. You are totally right and free ebooks can be extended to anything free you can think about. As long as if it is bringing you people and social recognition. Thanks again! Yes there is no doubt that giving away free ebooks gets you fantastic targeted traffic.. Awesome simple way to promote anything! Hey Brankica you are absolutely right your every action should not have an apprent business objectives; somewhere you need to keep them hidden just like you proposed how to use free books to implement your marketing strategy. But free ebooks are valuable on their own and do not need to used as a trade. They are awesome viral tools. Yes ! I’ve seen many bloggers publishing their own and self written ebooks for free on their blogs.I didn’t know that they were doing it for marketing purpose until i read this article .This is indeed a good strategy ..and am gonna try it out ! I’m glad to read this post in the first time I read your blog. You idea is very kool and I totally agree with you especially about do not create a free e-book only as a teaser for another one. It will decrease the value of this book you do something like it. The content of this book is also important then if the audiences are interested in , they will sign up to get it. Thank for sharing. Please keep sharing with us! Quynh Lan recently posted..[OpenCart Themes] Tempus: A stylish OpenCart theme for mobile store!